Chambray transcends seasons. In the fall and winter, a chambray button-down perfectly complemented your navy cords or burgundy chinos, and an effortless element of chic. And now in the spring and summer, the light-weight linen finished garments, add style and versatility to both casual wear and sophisticated ensembles. 1. 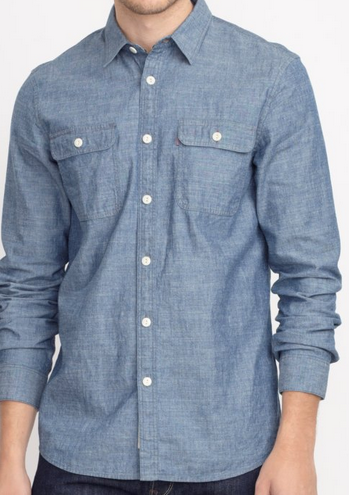 The classic chambray button-down. Pair it with your favorite salmon chino shorts, and a pair of boat shoes and you have the perfect casual, ‘weekend at the beach,’ look. 2. 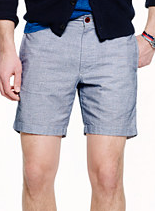 The chambray short. Great for dressing up or down. For a daytime casual look, pair with a light-weight cotton v-neck tee in solid or stripe pattern and a pair of leather sandals. At night pair with a navy or white button-down and nice clean tennis shoes for a causal look, or a pair of leather loafers for a nicer look. 3. 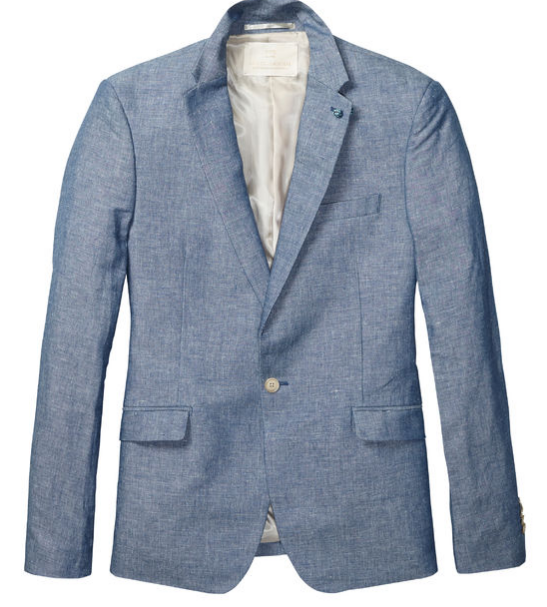 The essential chambray blazer. This item takes any casual summertime look and makes it sophisticated. Pair with a tee, shorts, sandals, and a fedora for a super trendy weekend outfit, or put it over a silk blend button-down and your favorite khakis for an outdoor evening party ensemble. 4. The printed chambray tie. I love this tie paired with a white, salmon, or light blue button-down, tucked into a pair of chino style shorts or pants in a complementary color. Nothing says spring like a floral chambray tie. For as long as anybody can remember women have been wearing furs and garments adorned in animal prints, and as of late this trend has become extremely population, especially among college-age women and recent grads. However, animal prints and patterns are increasing their presence among Gen-Y men as well…and I don’t hate it. Anyone who has read previous blog posts knows that as much as I love a classic suit, clean lines, and solid colors, I have a (very large) spot in my heart (pun intended) for prints and patterns as an accessory to the aforementioned solids. Animal prints are no exception. If you’re like most men and you’re hesitant to embrace anything that may seem different, unusual, or risky, then start small and slow with the animal print trend. The easiest way to start off with this trend is by rocking it in discrete places- try leopard print socks, or zebra boxer briefs. As you start getting braver, try accessorizing a neutral palette of black, greys, browns, and taupe, with a leopard tie or belt. Then when you’ve had a few drinks or you’re feeling really ballsy go for a leopard print shoe, hat, or scarf! Check out my Animal Accessories WishCloud for inspiration! Should Men Wear Leopard Print? When buying something for your wardrobe, the material, or fabric, is just as important, if not more important than the design of the item. The rule-of-thumb here is to always check the tag for 100%, or pure, fabrics. A pure, 100% fabric choice is going to translate to a higher price tag, but with that comes higher quality. You are paying for something that is going to last, while maintaining its comfort and structure.